Healy Awards will be in attendance at the 36th Annual Wisconsin Football Coaches Association Spring Clinic on March 29th and 30th, 2012, to showcase our product line and support for the WFCA. Please stop by our booth if you have time. Pictures from the event to be posted at a later date. The list of speakers at the 2012 WFCA Spring Clinic has been finalized and will offer an incredible array of talented coaches and football people to cover a wide variety of topics. Thursday’s keynote speaker will be University of Wisconsin head coach Bret Bielema, who has led the Badgers to back to back Big Ten titles and Rose Bowl appearances. Friday’s keynote speaker will be coach June Jones and the SMU Mustang staff. Closing the event on Saturday will be former Green Bay Packer general manager Ron Wolf and former Packers CEO Bob Harlan, who will partake in a question and answer session. In between there will be dozens of speakers and presentations. Included in the list will be Northwestern head coach Pat Fitzgerald, who opens the clinic at 6:30 on Thursday, March 29th. Also scheduled to speak are head coach Craig Bohl of Division I-FCS national champion North Dakota State, head coach Lance Leipold of Division III national champion UW-Whitewater, head coach Stan Zweifel of IIAC champion University of Dubuque, and many other outstanding high school and college coaches. The WFCA Clinic is the only clinic in the country that will have the head coaches of the #1 and #2 teams in the USA Today national rankings: Greg Toal of #1-ranked Don Bosco Prep (NJ) and Bob Beatty of #2-ranked Trinity (Louisville, KY). ProPrep™ is a polish that doesn’t scratch like acrylic-based waxes. Helmets are easier to keep clean and looking like new. 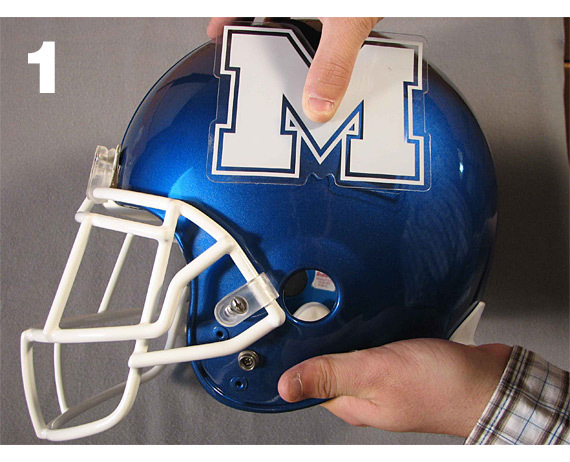 Best of all, if you remove and replace helmet decals during the season, your helmet decals will remove easily and cleanly. Leaves no decal adhesive behind and prevents paint from being peeled off with the decal. 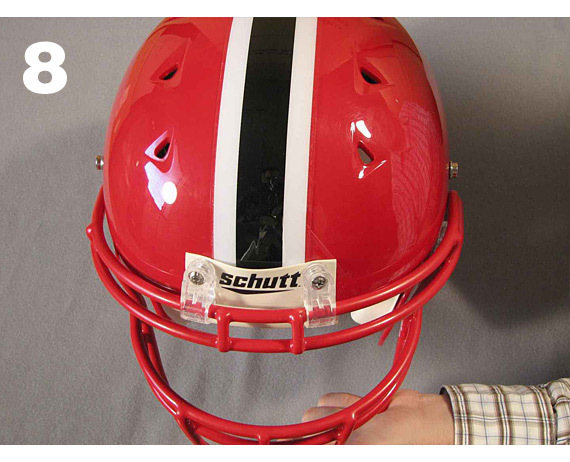 One bottle of ProPrep™ can help prepare 50 helmets for the decal application process. 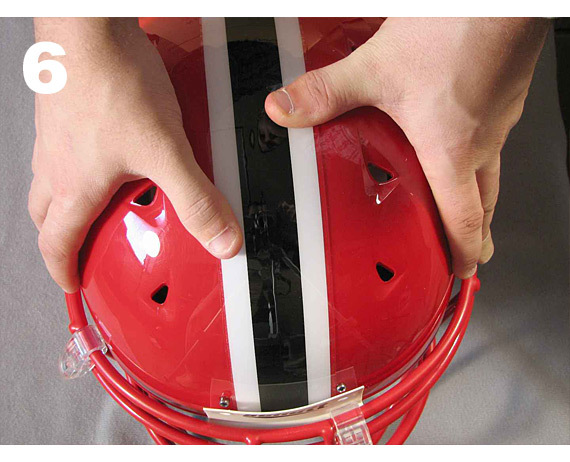 Applying ProPrep™ to your Football Helmets creates a protective barrier between helmet surface and decal product. 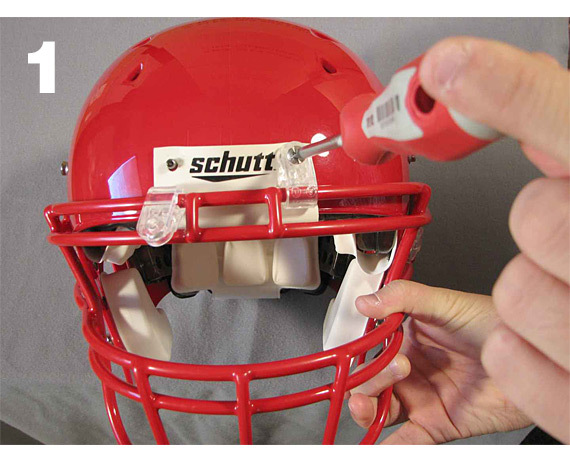 ProPrep™ not only maintains the shine of your football helmets with regular use, but also was designed to make it easier to place and remove decals eliminating gooey adhesive residue. It also helps protect and maintain the shine of painted football helmets. 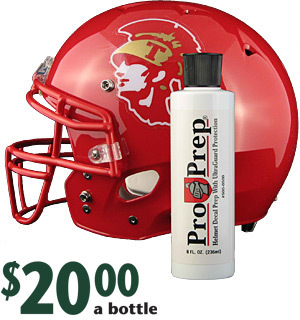 Using ProPrep™ as a cleaner regularly, will allow stains and marks to be removed more easily during the season. Visit us at www.healyawards.com to purchase your decals for the upcoming season. 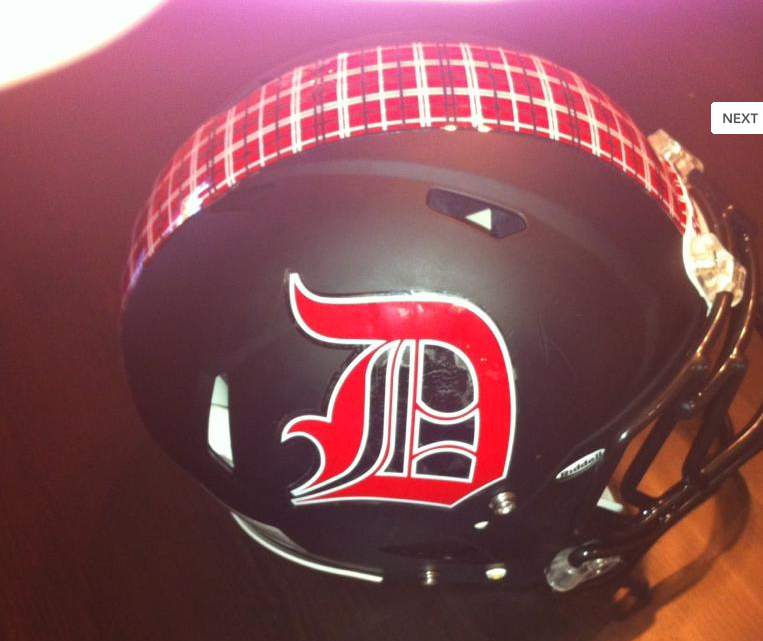 Check out the newest football helmet decal and football helmet stripe design for the Dunedin High School Football Team. The decals were featured in the Tampa Bay Times Newspaper. 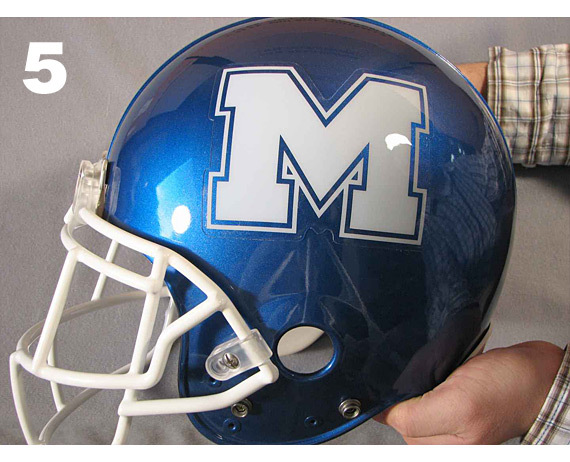 Call us today to let one of our designers help you create a new identity for your team in 2012. 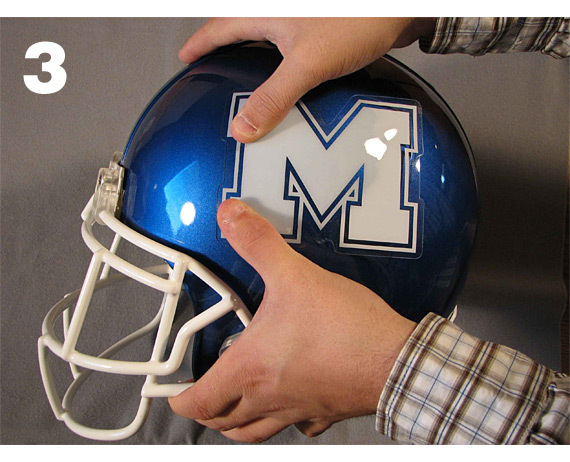 Before any decals can be applied, the surface area of the football helmet must be clean from dirt or dust. You can towel off the surface with water only and let dry. 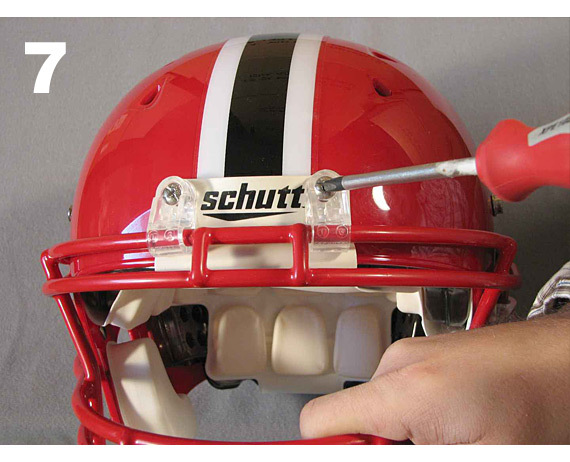 Remove front face mask screws so Healy multi-tape can be placed underneath the sweat-band flap. 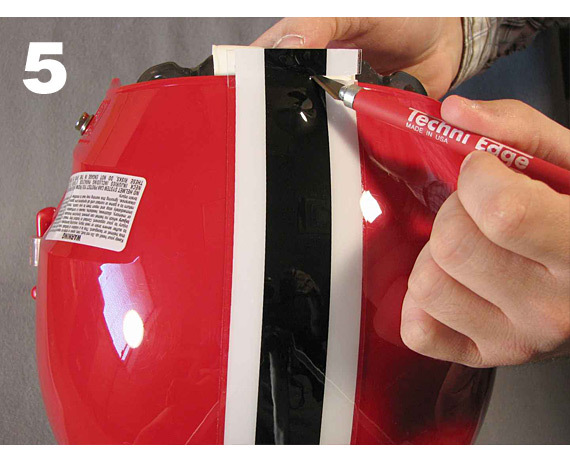 Remove only 1/2 of multi-tape backing and start application on front edge of helmet underneath sweat band flap. Align multi-tape to middle seam of helmet and press tape down to front edge, then press center of tape down first, then apply the edges. 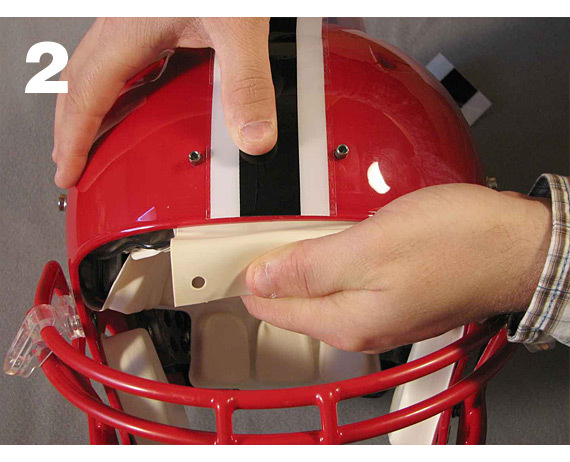 When applying multi-tape, work in small sections, pressing tape down, from the middle working outwards, gradually working to the back of the helmet. When multi-tape is completely applied, there may be excess vinyl. Trim excess vinyl from back of helmet so the tape edge is flush with back edge of helmet. 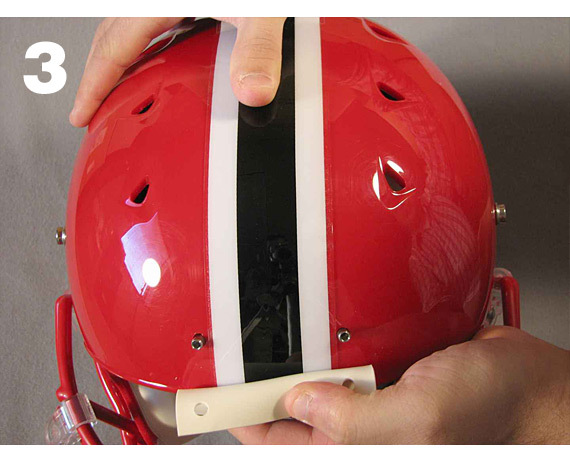 If Healy multi-tape is off-center, gently lift and reapply, following the middle seam of helmet. Repeat above application steps. Finally, press entire stripe, with thumb, once again, to insure it is firmly into place. Reposition sweat-band flap and tighten face mask screws. 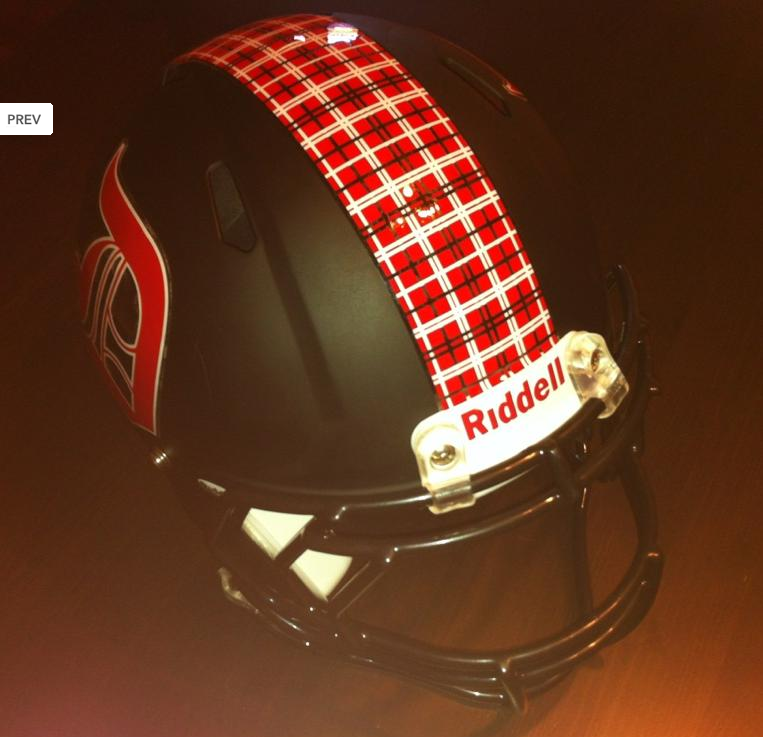 And your finished applying Healy multi-color football helmet stripes. Visit us at www.healyawards.com to purchase your football helmet decals for the upcoming season. Spring Banquet Season is Approaching! Decal should be positioned on helmet so the bottom of the decal design rests 2” from top of helmet ear hole. 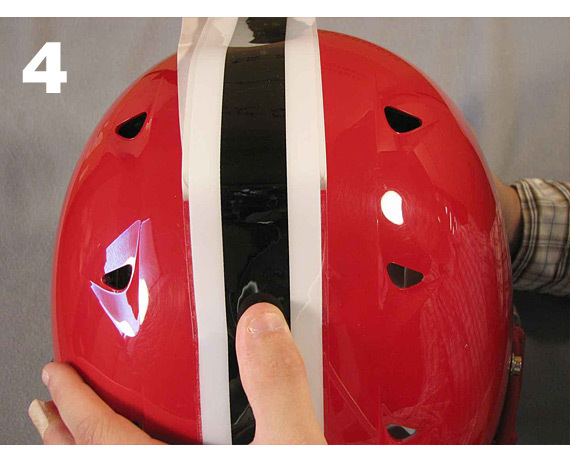 Press center of decal to helmet so only a small middle section is applied to helmet. 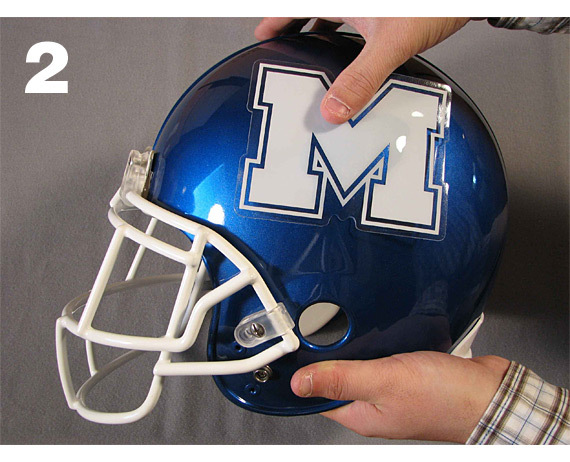 Working from middle, out, press decal to helmet. Apply larger areas to helmet first then press smaller sections down. This will prevent buckling. 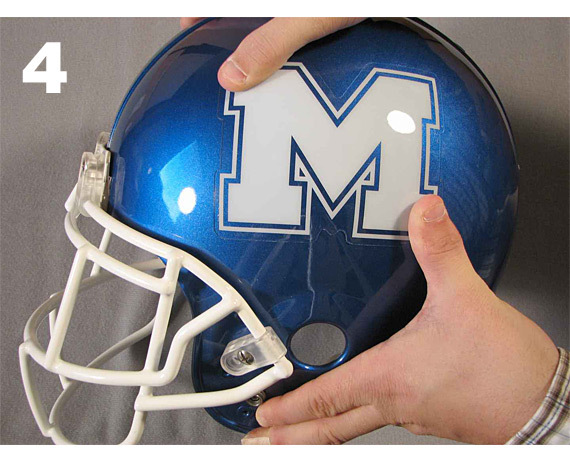 When decal is applied to helmet, rub over entire decal with thumb to make sure it is completely pressed into place. If buckling occurs, gently lift up buckled area. Pull to straighten and reapply.